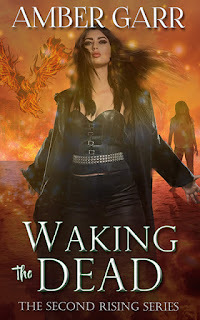 Amber Garr: Soulless Has Been Signed! Today, I'm so thrilled to announce that SOULLESS has been signed to Hallowed Ink Press! Nora, Jason, and Theron have found a home and I'm so excited! 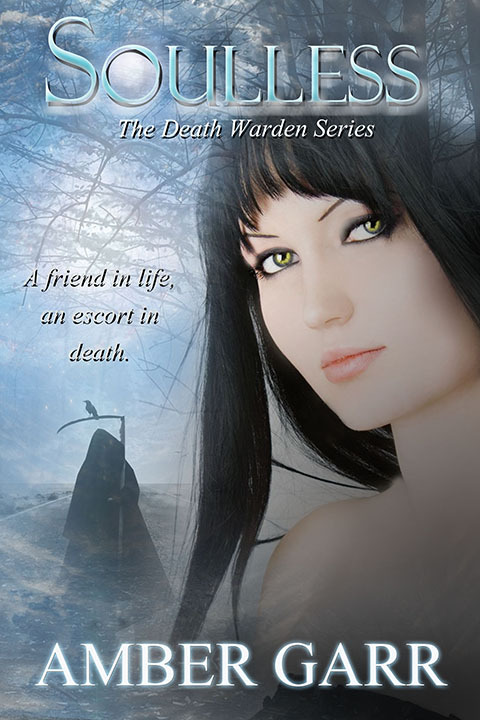 SOULLESS is Book One of The Death Warden Series and will be getting a BRAND NEW COVER by the fabulous Emma Michaels very soon! Release is expected in August 2014!! Death and love. Only one is guaranteed. Four decades ago, Nora died. A tragic event for someone so young. But four decades ago, Nora got a second chance to walk with the living. A Death Warden with a mysterious past, she escorts the newly dead to the light and fights the Soul Hunters who want them for the dark. Now her charges are being targeted and the hunters are after more than just their souls. A shift in power between good and evil threatens to change everything, risking the lives of the only family Nora has ever known. Devastated and angry, she’s forced to face the ex-boyfriend who chose the darkness over her in the hopes he might know how to help. Yet while their lost relationship still haunts her broken heart, a new warden with secrets of his own will quickly change it all. Death is unavoidable, but sometimes so is love. Yeah, I'm excited to work with everyone there! Thanks!